Athens 2004 Olympian Gary Smith has been appointed as the National Coach for trampoline, British Gymnastics has announced. Smith, who was most recently a coach with Cirque du Soleil, brings his extensive experience of being and gymnast and a coach to Great Britain’s trampoline programme. 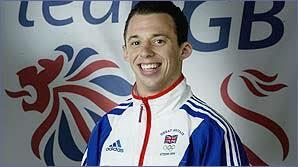 As a trampoline gymnast, Smith finsihed 7th at the 2004 Olympic Games and also claimed two European team bronze medals. His coaching career has included being head coach at Jumpers in Gillingham, as well as gaining extensive experience in a variety of roles across the world with Cirque du Soleil. James Thomas, British Gymnastics Performance Director, said: “I’m delighted to welcome Gary to the British Gymnastics World Class Programme as National Coach for Trampoline. “Gary brings a wealth of experience to the programme, not only from an athlete perspective, being one of Great Britain’s most successful male trampoline gymnasts but also as a coach, where most recently Gary has worked with Cirque du Soleil in the US. Smith joins the trampoline programme with head national coach Tracy Whittaker-Smith, which saw Bryony Page win Great Britain’s first Olympic medal, a silver, in Rio 2016.